Sit down. This is heavy. Where’s Schwarzenegger when you need him? [laughter] Anyway, thank you very much for the wonderful, warm reception, and I hope this doesn’t mean that I’m supposed to collect my pension and head on down the road. That’s — ‘cause that ain’t in the game for me. I got in the Screen Actors Guild back in the early ‘50s. And Walter Pidgeon was the president then, Melissa, so times are — I remember calling parents and saying that I’m in the same union with Walter Pidgeon, Cagney and Cooper and Barbara Stanwyk and Bette Davis — all these fabulous people that I grew up with. And I thought I was — I thought I was hot stuff, until I started knocking on doors and getting the turndowns. So I appreciate everything that all of you have had to go through at some time in your life.  But I just want to say that being a member of the Screen Actors Guild for coming up on 50 years has been a great pleasure for me. I think about it, it’s two-thirds of your life you’ve spent in one guild — that’s fantastic. And I’ve enjoyed meeting all the people over the years, and I’ve certainly enjoyed knowing all of you — most of you. And of those I don’t know, I’ll get to know later. But we’ll all work together because I have no intention of bailing out. So... talk to you later. Thank you.